We may assume that an initial descending impulse at the H4 chart of Franc has been completed, and right now the correction is taking place. 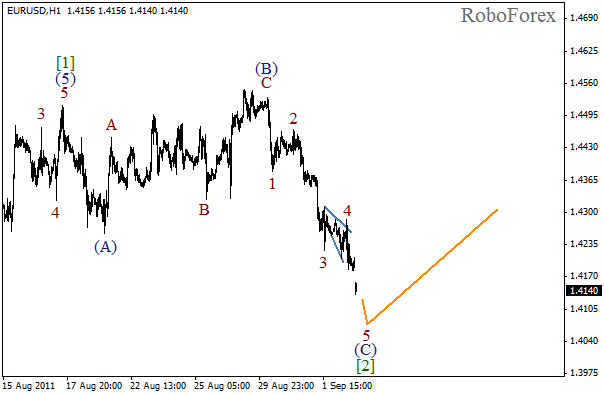 In the near term, after wave  is finished, we can expect the descending trend to continue. The fifth wave is wave  is extended. 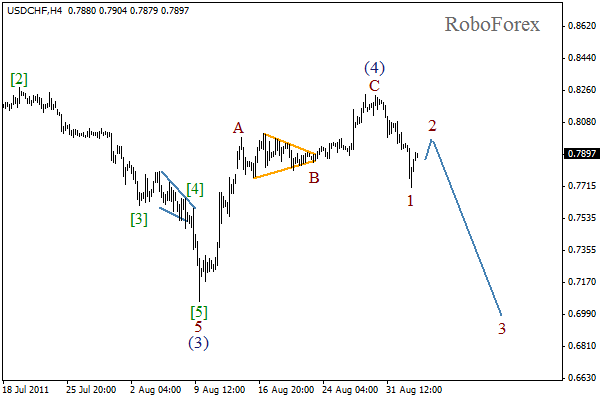 It looks like zigzag pattern is being formed in the second wave. 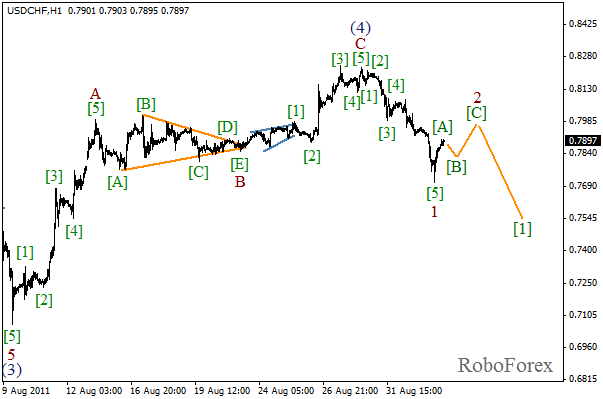 The price may continue growing up to the level of 0.7950-0.8000 during Monday. The structure has been corrected a little bit. We may assume that divergent wedge pattern has been completed in wave , and right now flat pattern is being formed in the second wave. In the near term, we can expect the price to continue falling down, however it may start growing later inside the third wave. I wouldn’t recommend to enter longs right now, it’s too risky. It’s better to wait for an initial rising impulse and then try to buy during the local correction. More detailed structure is shown on the H1 chart. 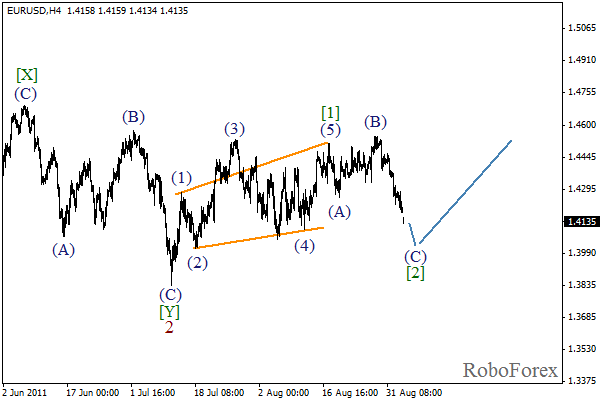 It looks like wave 4 of (C) has been completed in the form of horizontal triangle pattern. The fifth wave may continue during the day.